This Is For 'The Undefeated': A New Picture Book Celebrates Black Brilliance Kadir Nelson was inspired by Kwame Alexander's poem. It "spoke to excellence, and perseverance, and triumph amidst adversity," Nelson says. "It was an ode to the sung and unsung heroes in history." 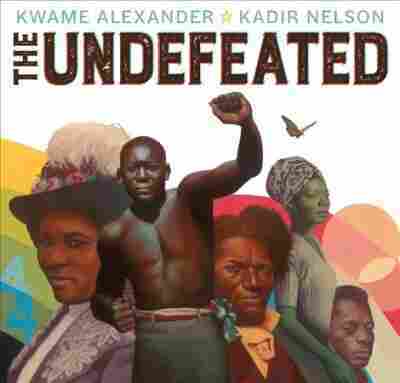 Artist Kadir Nelson illustrates Kwame Alexander's poem "The Undefeated" in a new picture book.